A-line skirt in dark blue with side pockets and embroidered waist detail in band across the top. 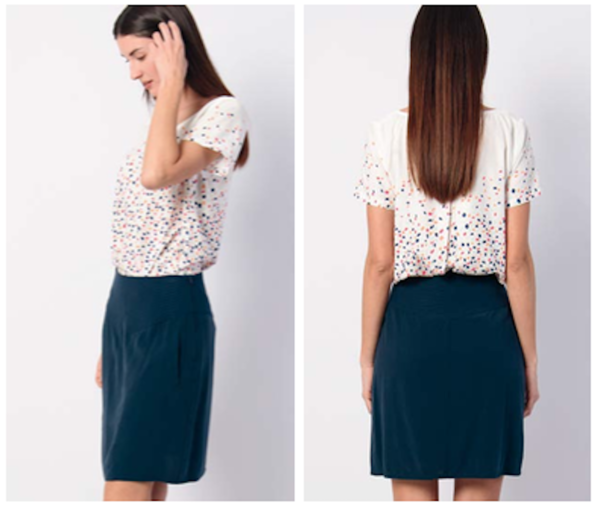 Marizuri Skirt from Spanish ethical brand SKFK. Side zip and embroidered waistband, this stylish skirt sits above-the-knee.